1. 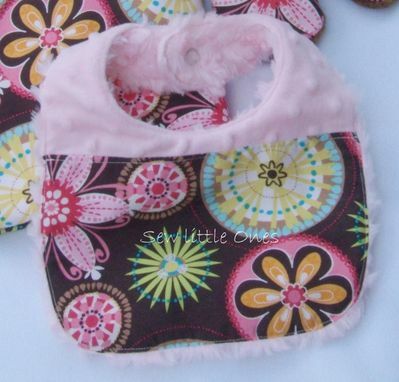 Bib measures 11" x 8.5" Top stitched and pearl snap closure for added durability. 2. 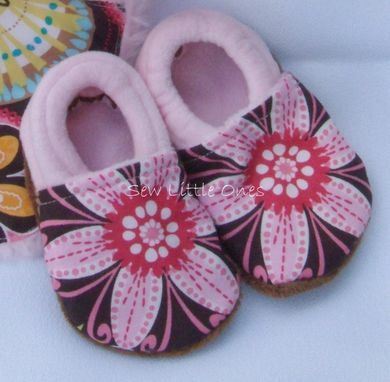 Soft-sole baby shoes with an elastic back for an extra added security. 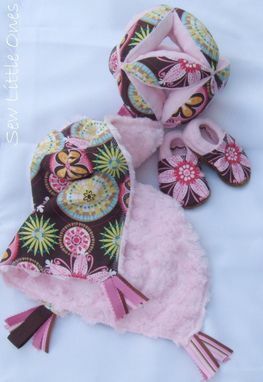 They are lined with Minky, to provide a soft and comfortable feel against babies' soft skin. Shoes size 0-6 months. 3. 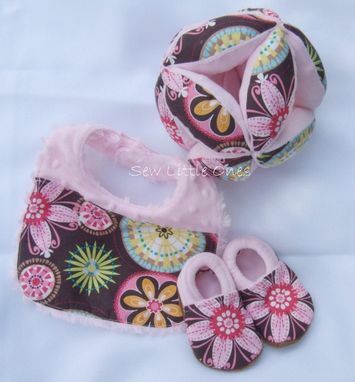 Baby Ball Bottle Holder-Not only can it be a bottle holder but also act as a great activity ball. Your babies and toddlers would love this cuddly, colorful activity ball. With so many openings it provides lots of places for little hands to grab on to. It tumbles and bounces softly but won't roll away like ordinary balls would! 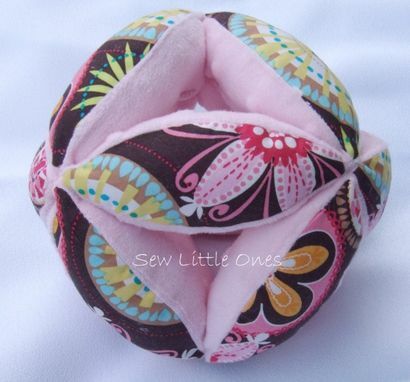 This ball is great for stimulating baby's sensory development.